Johnny Depp was greeted by screaming fans outside the historic Arlington Theatre, where he walked the 31st Santa Barbara International Film Festival red carpet to be presented the SBIFF Maltin Modern Masters Award. All along the red carpet reporters, photographers, TV and Radio professionals were waiting to get what they needed for a story on the man who is considered by many the greatest actor of our time. I was one of those waiting, but due to the huge amount of Hollywood photographers who were working the event a few of us local ladies found ourselves at the end of the line in a dark zone, which is not a good spot to get what we came for. I enjoy discussing the amazing talent of Johnny Depp, who is in my opinion a true master of the craft of acting, and has proven it over and over with a milieu of prestigious awards. Through the years he has befriended, learned from and worked with greats in the film industry. That being said, for the first time in fourteen years covering this local event I brought a gift bouquet of flowers for an actor I truly admired. As Johnny approached me on the carpet I handed my humble little bouquet to him, and rather than welcoming him to Santa Barbara as I had planned to do, I suddenly said �I love you so much Johnny Depp!� He took a beat and looked at me as if he was assessing the whole picture and then replied 'this is sweet, this is really so very sweet' at which point the flowers went to an assistant and suddenly I felt like Jack Sparrow had swooped me up to give me the sweetest kiss! I think I may have actually stopped breathing. Shock would be a mild description for what I was feeling as he moved away and continued walking along the carpet into the theatre with my little bouquet in hand. I first became aware of Johnny Depp in the 2000 film Chocolat starring Juliette Binoche , Johnny Depp , Lena Olin , Judi Dench , Alfred Molina , Peter Stormare , Carrie-Anne Moss , Leslie Caron, and I remember thinking what an expressive face and kissable mouth this handsome guy had, never dreaming I might by some unexpected quirk of fate have the pleasure to do just that. Johnny Depp's professional body of work is so diverse and astounding, and it is reported he chooses roles that are interesting and challenging to him, and not those with guaranteed box office success. He has become renowned for developing characters that are born through his complete surrender, love and trust of the creative process, as well as his unquestionable courage to make it true. Depp has gained worldwide critical acclaim for his portrayals of such people as screenwriter-director Ed Wood in Ed Wood, undercover FBI agent Joseph D. Pistone in Donnie Brasco, "gonzo" journalist Hunter S. Thompson in Fear and Loathing in Las Vegas, cocaine kingpin George Jung in Blow, author J.M. Barrie in Finding Neverland, and the Depression Era outlaw John Dillinger in Michael Mann's Public Enemies. Films featuring Depp have grossed over $3.1 billion at the United States box office and over $7.6 billion worldwide. His most commercially successful films are the Pirates of the Caribbean films, Alice in Wonderland and Charlie and the Chocolate Factory. Festival Director Roger Durling, along with UGG award sponsors welcomed guests and introduced interviewer Leonard Maltin. The interview done before nearly two thousand enthusiastic fans included film excerpts, and the conversation covered the full span of his career, from his start as a struggling musician turned actor, through his most recent amazing performance in BLACK MASS. Depp charmed the audience with funny stories from his attempts at getting fired from jobs (including one experience when he refused to remove a turban) and his subsequent apologies to his agent Tracey Jacobs who was sitting in the audience. Following the interview Depp's BLACK MASS director Scott Cooper took the stage to say a few words and present Johnny Depp with the Modern Master award. It's obvious Johnny Depp is one amazing actor and a unique human being, who has been described by other media members as a rather caring celebrity who always gives them what they need to complete their assignments. Following the interview and award presentation he graciously posed for photos with the event volunteers at the Arlington, and the next day festival staff reported that before leaving the area he went back to the fans outside the Arlington and signed more autographs. The Maltin Modern Master Award Presented by UGG is the highest honor presented by SBIFF. 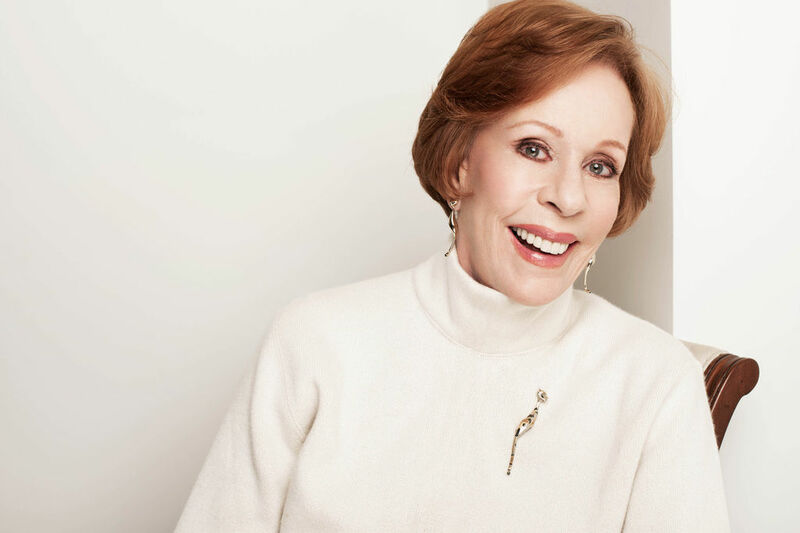 Established in 1995, it was created to honor an individual who has enriched our culture through accomplishments in the motion picture industry. The award was re-named the Maltin Modern Master Award in 2015 in honor of long-time SBIFF moderator and renowned film critic Leonard Maltin. Recipients: Johnny Depp (2016), Michael Keaton (2015), Bruce Dern (2014), Ben Affleck (2013), Christopher Plummer (2012), Christopher Nolan (2011), James Cameron (2010), Clint Eastwood (2009), Cate Blanchett (2008), Will Smith (2007), George Clooney (2006), and Peter Jackson (2004). For additional information visit: www.SBIFF.org. NEWS BITES . . .
During a speech at the World Economic Forum yesterday, the actor announced that his charity will be donating $15 million to environmental causes. This includes grants to the Rainforest Action Network to preserve natural habitats abroad, the Solutions Project to conduct alternative energy research, and the Global Fishing Watch to reduce overfishing in the world's oceans. "Currently, less than 3% of all philanthropic giving goes to defending our planet," DiCaprio said. "Again 3% of all philanthropic giving goes towards the protection of our ONLY home, planet earth." He told global leaders in attendance at the Forum � a three-day business summit held in Geneva, Switzerland � that investing in climate change reduction strategies makes economic sense and using renewable technology to fill the world's total energy demand could save nearly $42 trillion in global energy costs and create 20 million new jobs. This isn't the first time Leo has used his fame as a platform for implementing reform. Since its founding in 1998, his namesake foundation has pledged over $30 million to 65 organizations across various environmental sectors. His career has brought him face to face with the destructive forces of global warming, and he considers this "most existential human crisis the world has even known." Filming of his most recent Oscar contender, The Revenant, was often put on hold due to extreme weather events across the globe. The crew was even forced to travel to the South Pole to shoot one of the outdoor flick's snow scenes. Here's hoping DiCaprio continues to steer the conversation away from the box office and towards what really matters: the state of our planet. 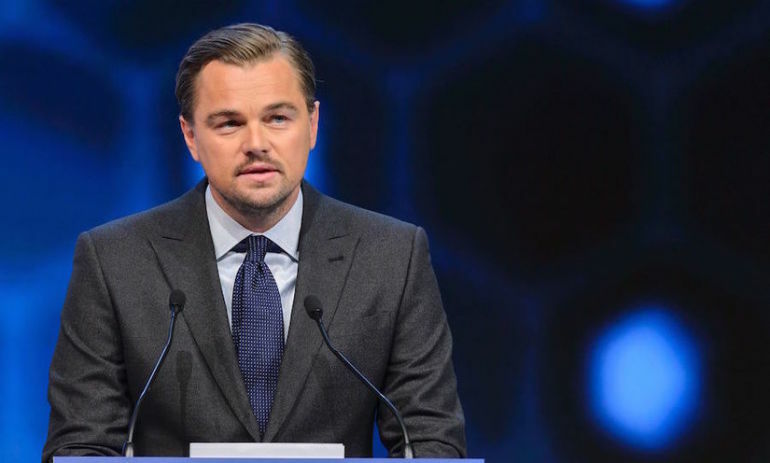 "The challenge before us requires each and every one of us to take action," DiCaprio concluded yesterday's speech. "We owe this to ourselves, but more importantly to the future generations who are counting on us." Footnote: Leo was also honored by SAG-AFTRA this month with an award for his outstanding work as an actor. 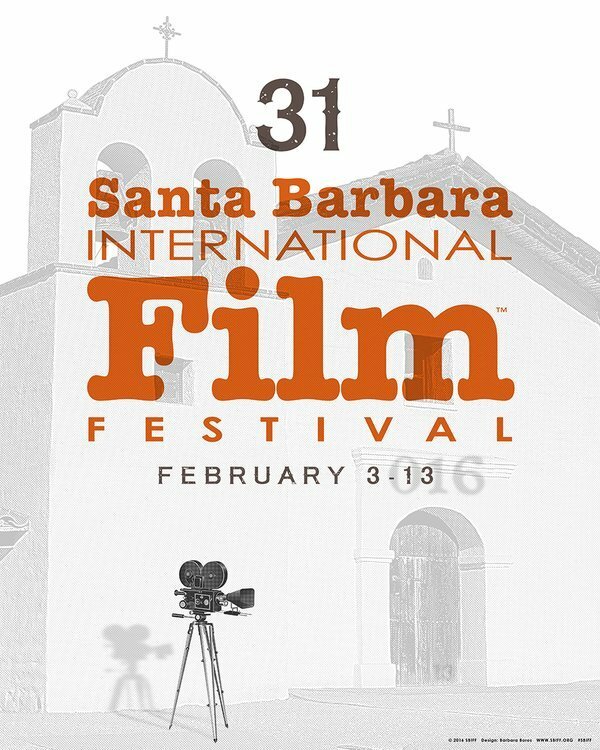 From February 3 through the 13 once again the streets of Santa Barbara were filled with film lovers, food and beverage aficionados, and travelers who just love Santa Barbara. 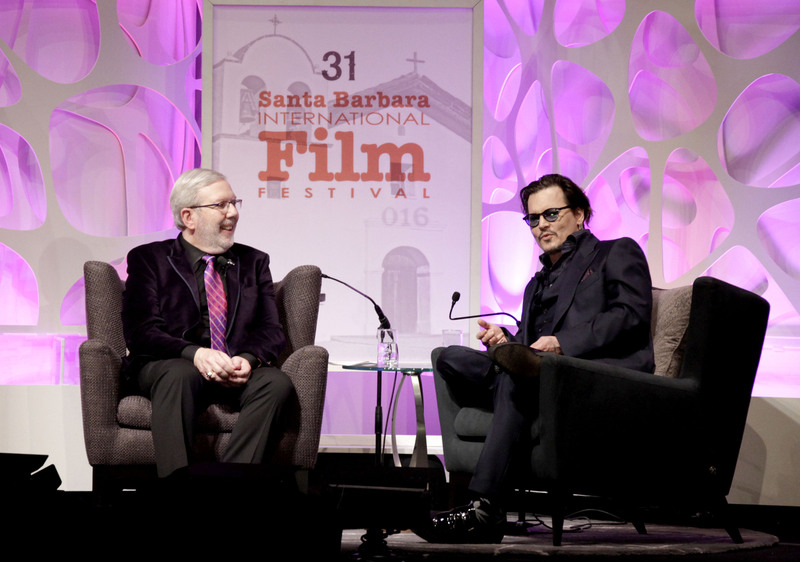 Sponsors and VIPs filled the lobby of the historic Hotel Santa Barbara to share news on the bevy of films being screened, and all the Santa Barbara Theatres and select filming locations were packed with enthusiastic attendees. Jennifer Lopez brought her star power to Las Vegas for the Jan. 20 debut of her new residency "All I Have" at The AXIS at Planet Hollywood Resort & Casino. The 90-minute show is billed as an "explosive and emotional journey" showcasing all her hits and featuring state-of-the-art technology in sets, lighting, video, and special effects, plus her signature stunning costumes and incredible choreography. Prior to the opening night peformance, Ray Liotta, Jennifer Tilly, and Holly Madison were among the celebrities to walk the red carpet. GBK's Pre-Grammy Luxury Suite on Feburary 15 at Tom's Urban A Live - Presenting sponsor Boom Case, attracted celebs who enjoyed gifts and fun with Gavin Keilly, GBK Productions. Grammy Awards are Monday February 15, Los Angeles www.grammy.com, www.gbkproductions.com. bestowed by BAFTA, at British Academy Film Awards. 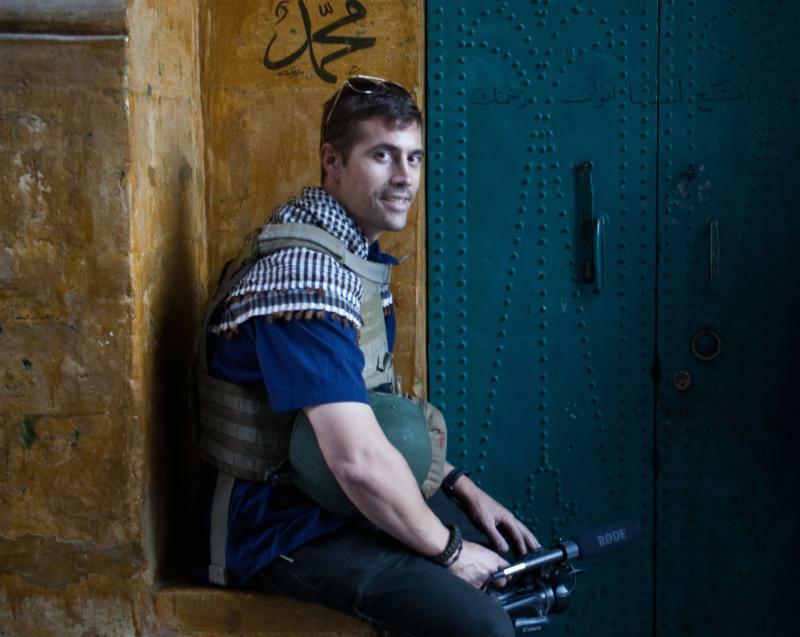 HBO Documentary Films is proud to present JIM: THE JAMES FOLEY STORY, the personal, intimate story of American journalist James Foley who was murdered by ISIS in 2014, made by his close childhood friend Brian Oakes. After its world premiere in the U.S. Documentary Competition at Sundance next week, the film will broadcast on HBO on Saturday, February 6. The stars and celebrities of food and fashion television, video, film and radio are preparing to revel in San Francisco on February 11th at their own one-of-a-kind awards show, the 7th Annual TASTE AWARDS. The TASTE AWARDS is the premier awards show celebrating the year�s best in Food, Fashion, and Lifestyle programs on Television, in Film, Online, in Apps and on Radio. Fans, networks, producers and sponsors could not be more excited. The Awards Show features a star-studded lineup, including Celebrity Presenters Brian Boitano (Food Network, HGTV), Bobby Bognar (History Channel, Bio Channel), Jolene Sugarbaker (YouTube), Marisa Churchill (Bravo�s Top Chef, Author), Liam Mayclem (Food Chap, CBS), Bret Harris (Indiegogo), Jake Wall (Project Runway), Carolyn Scott-Hamilton (The Healthy Voyager), Alyssia Sheikh (Mind Over Munch), Phillip Gums (Food Network), and more. 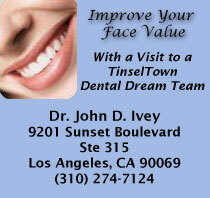 Celebrity attendees also include stars from Television, YouTube, Radio and Film. At the historic Castro Theatre, attendees will taste after-party delights from San Francisco Bay Area Restaurant and Wine partners joining the celebration such as Scotland Yard, the Lunchpad, Sol Food, Teleferic Barcelona, Two Jack�s Seafood, Sauce Restaurant,Twisted Roots, Rosa d�Oro Vineyards, R&B Cellars, Sonoma Cider, and others. Major sponsors for the TASTE AWARDS are Kikkoman and Ferrara Flame, with other culinary and lifestyle partners such as Schiltz Foods, Hotel G, Clubcard Printing, PR Newswire, Intermezzo Magazine, Sip for the love of drink magazine, San Francisco Travel, BlueCart, FilmFreeway, KRCB TV, Withoutabox, R&J Toffee, Patagonia Provisions, En Voyage perfumes, La Fleur by Livvy, Granny Pearl�s Kitchen, and Jim�s Jarhead Jerky. The Awards have included appearances by stars, celebrities, producers and executives from networks and platforms such as the the Food Network, the Style Network, Bravo, the Cooking Channel, Sony Pictures, DreamWorks, TLC, Discovery, Lifetime, E! Entertainment Television, PBS, APT, Create TV, NBC, ABC, the CW, HGTV, the Travel Channel, HD Net, Hulu, YouTube, Vimeo, Vice, LiveWell Network, Esquire Network, Bio/FYI Channel, iHeart Radio, HBO, MyxTV, Small Screen Network, StyleHaul, Zagat and more.